The first time we went to Jason and Kara Tippetts’ home, it was for dinner with them and a few others. All of us were joining Jason and Kara in the adventure that would later be called Westside Church. It was spring 2012. Kara’s blonde hair was beautiful and hung down to her shoulders. Her eyes were bright and zapped out to catch your attention. Sitting around Jason and Kara’s dinner table, trying to get to know all the people trying to decide if they wanted to become part of this church plant, Kara threw out icebreaker questions. I was working at Summit Ministries at the time and had the fortune to run in circles with some well-known Christian thinkers, speakers, and authors. The two questions Kara asked me: who is the most famous Christian I had met in my job, and of those who weren’t so famous, who did I hope would become well-known? Now, three years later, the answer to both those questions is Kara. Those days were before the Waldo Canyon fire that did so much to bring our young church community together, and before Kara’s cancer diagnosis. It was before Kara’s blog had taken off, before she wrote her book, before her blonde hair became a casualty of her fight with cancer. Before Kara could have known the fame she would earn in her painfully honest fight. But Kara didn’t fight to become famous; she didn’t write to make her name known. As a journalist, I understand why the media picked up on Kara’s letter to Brittany Maynard last year, in which she tried to convince the young cancer patient not to take her own life before the cancer did. Kara and Brittany’s shared circumstances and different decisions were the perfect faces for the larger public policy debate surrounding assisted suicide. I get that. But Kara never chased the headlines. The public was transfixed — some critically, some not — on this young woman living out her last days trying to love her husband and four children while waging a very public fight. She did it, beautifully, in the name of Jesus. The thing that amazed me most about Kara and Jason is that though they needed support and breaks from mortal reminders, they didn’t stop supporting others. As Kara’s cancer and things were taking a turn for the worse, and when Julie, the boys, and I were still living in Colorado and attending Westside Church, I wrote Kara a private Facebook message admitting my own guilt over us not being physically present for her other than on Sundays, my occasional lunches with Jason, and during meetings I had with others in the church and Jason. I felt emotionally clumsy because I knew Jason didn’t always want to talk about the cancer, but I always wanted to give him the opportunity to get things off his chest if he wanted. She didn’t hesitate a moment to relieve me of my guilt, admitting that she knew a lot of people had felt that way. “You must know that Jason and I very much understand the season of small children. Very much. There is nothing between us needing apologizing for,” she wrote. “I believe that to be a lie several in our community struggle with. . . .
That’s how Kara was. She lived her last days the way she did because that’s what God asked of her and that’s what her family needed. Her concern for others was as genuine and raw as the words she wrote on her blog and in her book. Read her last letter to her readers. The fact that so many people latched on to her and her story humbled her. 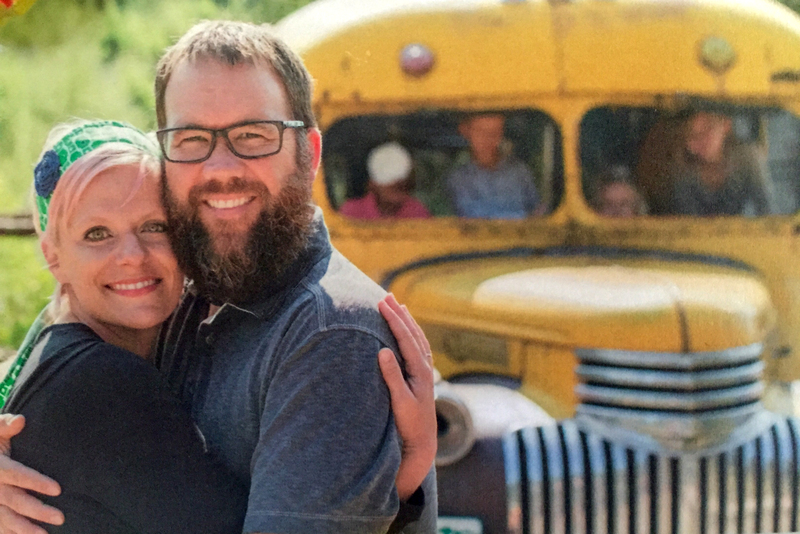 She was so thankful to Rod Dreher, a mutual writer friend, who had taken a lot of time to write to her privately with advice and encouragement and to write about her on his much-followed blog. In all the things that I’ve read and conversations I’ve had about Kara since she died, someone somewhere (I can’t keep them all straight at the moment) wrote or said something about the Apostle Paul. After his conversion, he met tragedy after tragedy, including his imprisonments before his eventual execution for preaching the good news of Jesus Christ. Ephesians, Philippians, 2 Timothy and Philemon were all at least a partial result of great suffering. I am not equating Kara with the Apostle Paul, but the words she has given us in the last three years are words born out of suffering, words she was appointed to write by a sovereign God who knew the battle she would face, and the pain it would cause, but also the effect it would have in tens of thousands of lives. One of my many failings is a lack of zeal for telling others directly about Christ. Some of it is my introversion, and some of it is my own lack of faith. Kara had no such lack of zeal. Or, if she did, the Holy Spirit gave her grace sufficient to overcome it, especially in such a vulnerable time — when she faced her death. I think all of us who followed Kara’s journey — either up close or from afar, or both, like Julie and I have — have been given new zeal from watching her. Emotions run high during these times, and certainly mine are in these early days since she finished her race, but Kara’s written words will always be there. Such are the gifts of the saints with whom we Christians live our lives, and of those saints who go on before us to dwell in the presence of the Lord Jesus. Today we’ll watch Kara’s memorial service from our home in Tennessee and wish we could be there with our Westside family to grieve and celebrate and hug each other and cry. I remember the last Sunday we attended Westside before we moved to Tennessee in the fall of 2013. I never wanted to act like it was the last time we would see Kara this side of her death, but we knew. The week before we left, Jason and I had one last lunch together in a little Mexican restaurant in Manitou Springs. And I think everyone in that restaurant thought we were crazy, because we spent the better part of the lunch crying with each other. Kara’s legacy will be one of obedience and submission to God — she even called her cancer a gift, which is almost painful to read now. But her zeal for Christ, for her family, for her church, and for her community of readers, gives the rest of us zeal. We know God delights in the lives of His saints lived in such bold ways. I’ll always remember the questions Kara asked me, so unassumingly, while eating dinner at her house three years ago. And I’ll always remember how her hair was long and her eyes bright. It was through one of Julie’s shared posts that I first learned of Kara’s story. I’m so grateful I just happened to click on it that day, early in 2014. She has forever changed me, and I am eternally grateful. We messaged back and forth some, and she was just such special person and true gift from God. It was wonderful to watch her page grow from a few thousand to the tens of thousands. She will not be forgotten, and her legacy will live on. Thank you for sharing, Michael (and Julie)! Kara has several followers here in Greeneville. I grew to love her and her family after reading her blogs. My daughter, Rebekah, and I attended a two day conference at which Kara spoke in Nebo, North Carolina last September. She was a bright spot in many of my days. I will miss her.